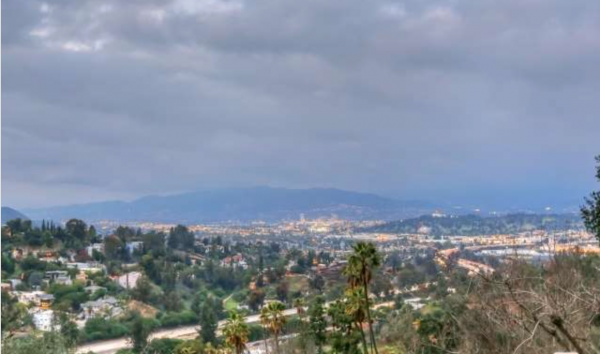 There are many positives to living in the hills of Silver Lake, Elysian Heights, and the like. The streets are predominantly residential and light on traffic, which helps keep neighborhoods quiet, not to mention a lot of trees that help keep temperatures down and privacy up. If there is one issue with these homes, it’s finding adequate parking. 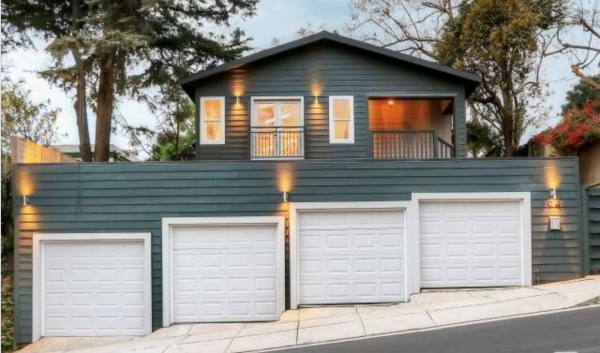 With a 4 car garage at 1945 Cerro Gordo Street that shouldn’t be a problem – BOOYAH. And that is far from its greatest feature, but simply the most glaringly obvious. 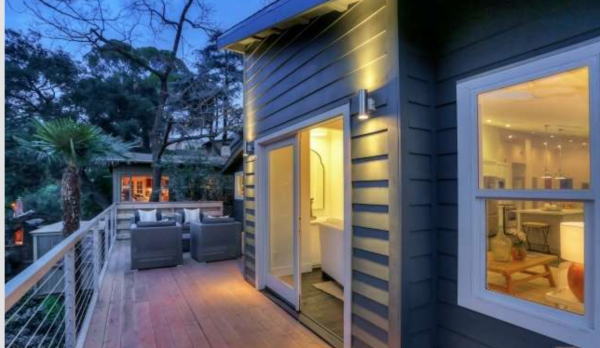 Asking just shy of $1.1 million this 3 bedroom, 2 bathroom 1910 Craftsman has been updated all around with rich, dark (new) antique hardwood floors, custom tiles, shaker cabinets, marble countertops and stainless steel appliances. 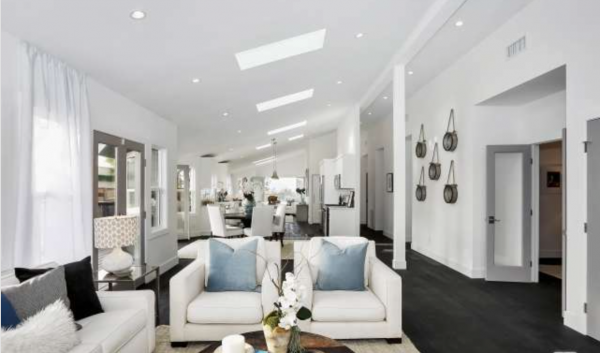 But being more than just the sum of its parts, it’s how it all comes together — in a large, airy grand room that brings together the living, family, kitchen and dining rooms. 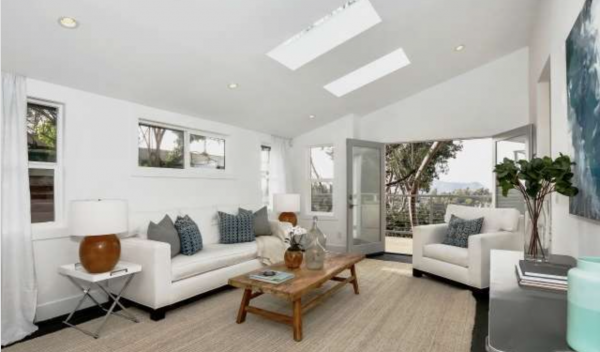 With vaulted ceilings and sky lights littered throughout, the room is filled with lots of natural light. 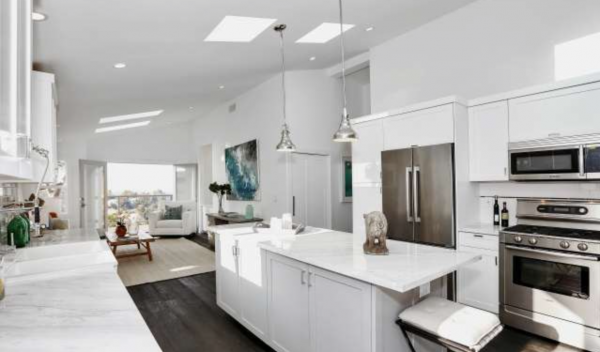 Beyond the superficial upgrades, other updates include water sprinklers, recessed lighting, a new electrical panel, new HVAC, copper plumbing, and vinyl windows. The large master, much like the rest of the home, gets higher ceilings and French doors that lead out to a large deck and incredible views… but we’re getting ahead of ourselves here. 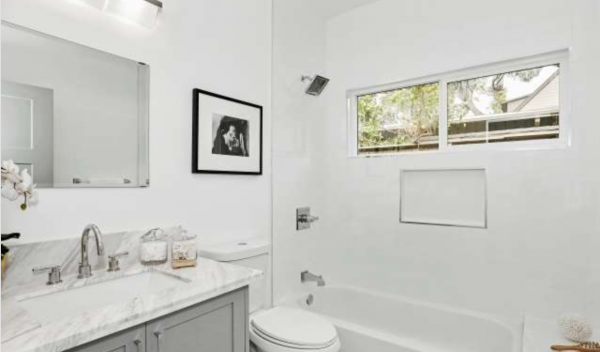 When it comes to trend spotting, one thing we’re seeing a lot of in master bathrooms are extra large wall-to-wall showers with multiple shower heads, and that is the case here. 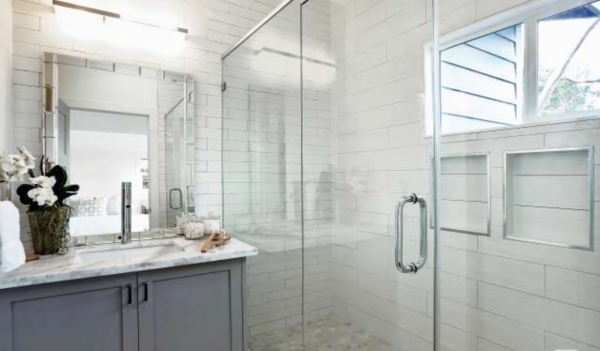 The large shower includes both a rain shower and one with a removal head. 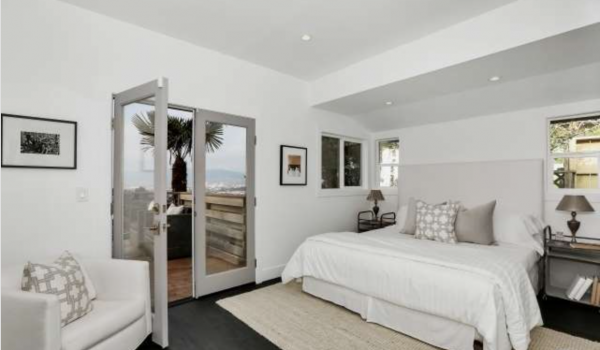 The guest rooms and second bathroom are far more traditional in size and features, though that is hardly a knock with a place this stunning. 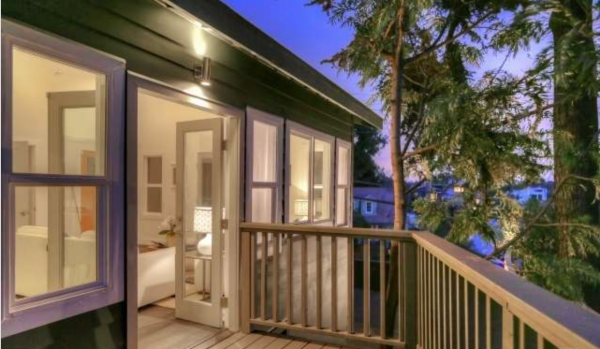 For a home with so much going on inside, you’d think that was enough, but head outside and you have a sprawling wrap-around deck that encourages indoor/outdoor entertaining. 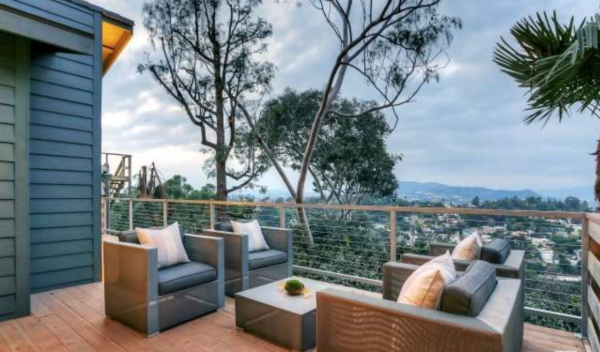 Said deck also comes with stunning views of the Hollywood sign, Hollywood Hills, Griffith Observatory, and DTLA. For a private showing, please contact Jovelle Schaffer at jovelle@jovelle.com or call (213) 718 -1110. Paul Stukin of the John Aaroe Group has the listing.